“Is having charisma a good thing? And...if it can be learned would you want to?” Those were the questions I pitched to my daughter and her friend. “Charisma is positive and I like people with charisma. But I’m not sure it’s positive if you are trying to fake it,” my daughter’s friend said. 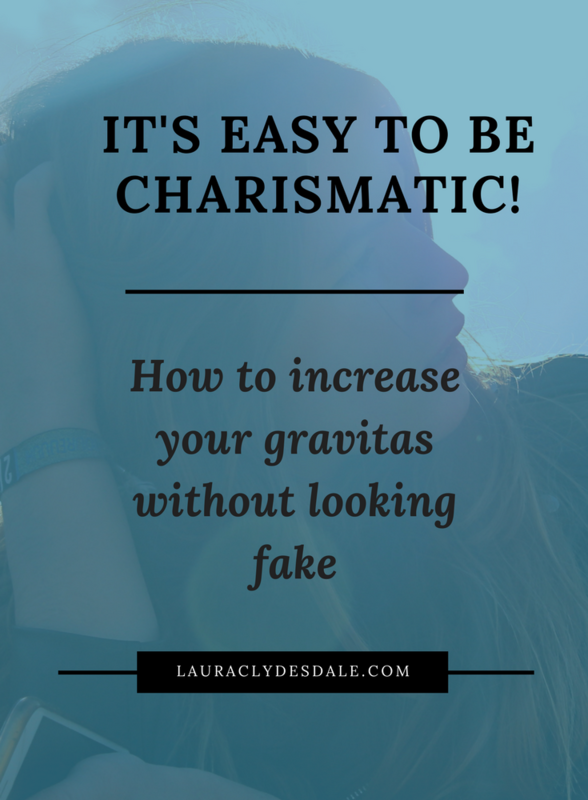 “So you think if you practice charismatic skills you are a fake?” I implored. “Yeah, you should just be yourself,” answered my daughter. In a nutshell, the girls thought charisma was great if it was innate but if you tried to practice being charismatic, you were an imposter. Girls are uncomfortable with anything that smacks of less than authentic. I get that. But I also know from my work with adult clients that executive presence, gravitas, and a certain energy are all qualities that leaders strive for, not to mention are evaluated on. Bosses encourage employees to gain these skills. Research bears this out as having an above average charisma score is a game changer in the workplace. It can make life infinitely easier. A study by the Executive Presence Group, shows charisma, gravitas, confidence accounts for 26% of the rationale behind getting a promotion, according to senior executives. However, in an unfortunate twist, many women are wary of trying to ’gain’ these skills. According to a study by the Center for Talent Innovation, “Women, and people of color in particular feel a conflict between being authentic, or true to oneself, and working intentionally to fit this cultural notion of charisma.” The problem is further clouded as most women in the study (81%) said the feedback they receive at work about executive presence is “often contradictory and difficult to act on.” Even worse, 56% of people of color believe they are held to a higher standard around executive presence, compared to just 31% of Caucasians. Could this hesitation be based on experience consistent with the findings in another study showing too much charisma can make leaders less effective? When measuring people’s abilities to be energetic, assertive, and enthusiastic, the researchers found there were diminishing returns after a certain level. “Consistent with our expectations, we found that as charisma increased, so did perceived effectiveness — but only up to a certain point. As charisma scores continued to increase beyond the 60th percentile, which is just above the average score relative to the general population of working adults, perceived effectiveness started to decline.” said the study’s researchers. However, it can be relatively simple to avoid being ‘too’ charismatic. Charisma is derived from the Greek word meaning “divine gift.” The Greeks literally viewed people with charisma as touched by the gods and therefore capable of incredible things. I think we can agree you needn't be a descendent of Zeus to have charisma, but it can look that way sometimes. The girls articulated the general belief it is innate. Today, we have a more clinical and less divine definition. John Antonakis, professor at the University of Lausanne and charisma researcher, defines it as: Standing for or representing something (that can be seen) which is rooted in values and emotions. Charisma means making a connection with your audience. In a study run by Antonakis, he trained students on several charismatic tactics and asked them to incorporate the techniques into a speech. The more the charismatic tactics were in the talk, the more charismatic they were perceived by independent judges. He controlled for communications skills and looks and successfully replicated this study with only women leaders. Antonakis’ studies suggest, to connect, you must do three things, and they CAN be learned. Have Character - Ability to build trust and foster goodwill by having values and connecting with others. 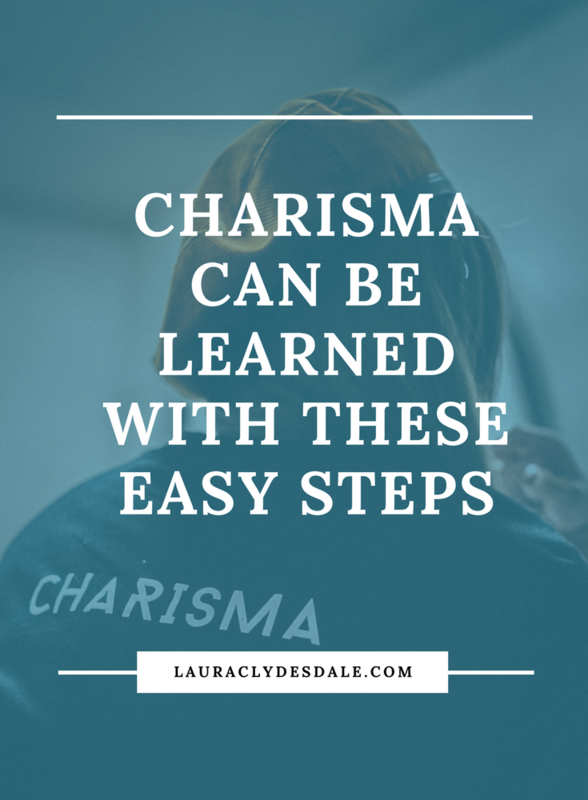 Charisma takes on a smarmy character when only defined by communication style. Being enthusiastic or entertaining can morph into attention-seeking behaviors. Charisma without values is power hungry. Persuasiveness can be used for manipulation, or for the empty goal of having followers to serve personal agendas, inflate egos, and to crave uncritical acceptance. True and positive charisma is the ability to be fully present and to articulate your position with your values. What’s more authentic than that? 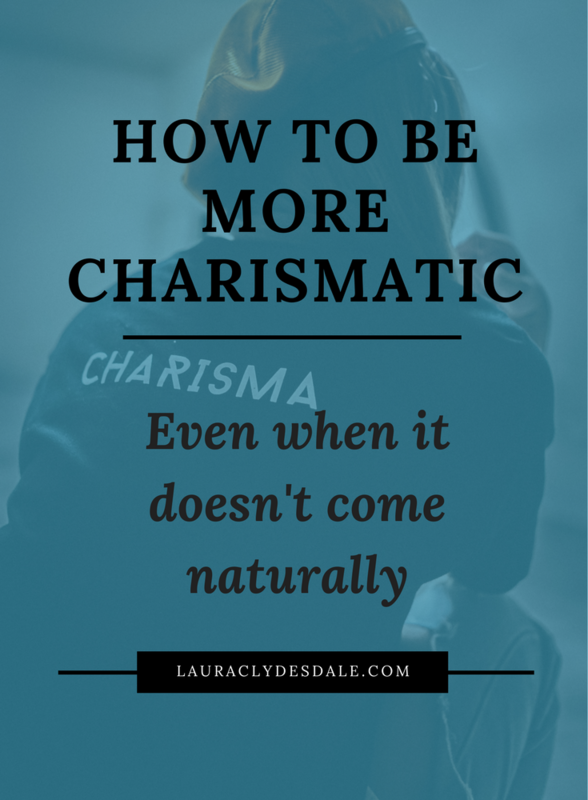 In fact, it isn’t just charismatic; it’s powerful. Most of Antonakis’s advice relates to the outflow of ideas since these were the traits he tested. However, to be a charismatic leader, you also must have executive presence when you are NOT the one speaking. Skillful speaking is only part of the equation. Therefore, I’ve split a list of charisma essentials into a speaking section and a listening section. If you find yourself the one speaking either formally or informally, try to use a few or all of Antonakis’s tactics to improve your presence and get more of your ideas adopted. If you have a vision, you want people to focus attention, understand, and remember the idea. The best way to achieve this is by painting a picture. Stories and metaphors can simplify your idea and helps people remember through visualization. Another approach to getting people to understand and embrace your idea is to use contrasts. Ask rhetorical questions to engage your audience’s brain: “So you may be wondering “can I learn charisma?” Finally, you can’t go wrong with lists and repetitions to help something stick. Antonakis says spelling out what you see as a society’s collective duty and responsibility signals your values and “makes a contract on how one is to be judged.” Couple this with an ambitious goal, and your confidence in its achievement, and you’ll exude powerful moral conviction. This is all about matching what you are saying to how you are saying it. It’s essential to project an engaging attitude or your listener will pick up on a disconnect. That is why using stories in your speeches is so important. When I help kids with their TEDx talks, they can be engaging one-on-one but often become stiff and robotic when put on stage. When you tell a story, your body language becomes more harmonious with your words because you will experience emotion. See the ‘Charismatic Listening’ section below for more non-verbal body language tips. Just like during moments of expressing ideas, tapping into emotion will also help you when you are on the receiving end of communication. Yes, charisma can be exhibited here too through non-verbal cues. It’s about connecting with others and being present. When you truly hear what the other is saying it creates an animated connection with your audience. Whole-hearted listening doesn’t just allow you to tap into that emotion we keep talking about, but will also help you formulate follow up questions. The counter-party will feel heard which is the greatest compliment. If you are introverted, asking questions provides the added benefit of allowing you to remain out of the spotlight but still connect charismatically. 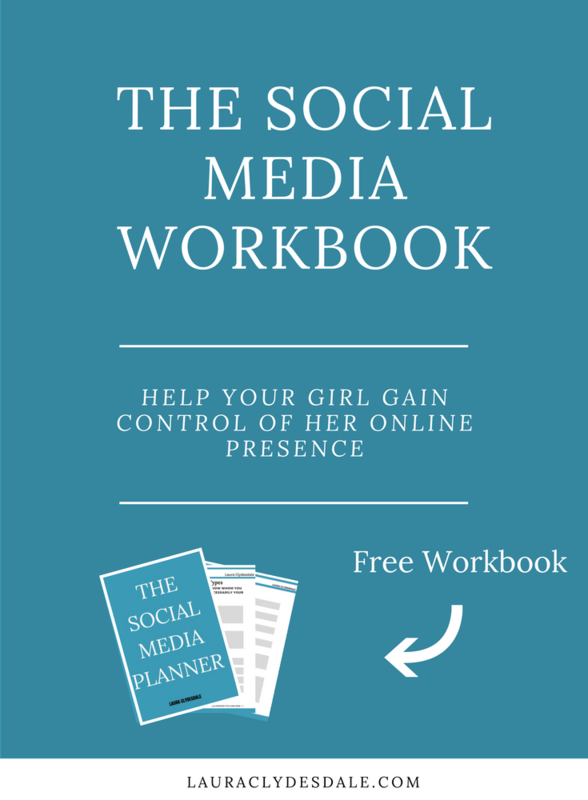 Challenge your daughter to ask one follow up question a day. I know this sounds simple but by sitting and standing straighter with shoulders back won’t just change other’s perception of your confidence level, research shows it will change your emotions. Again, sounds simple but studies show that people feel better about themselves when they are smiled at. If you are scanning the room or looking at your phone or watch, you clearly aren’t tuned into the person. This is a technique everyone should master. Many parents lament the demise of eye contact with the younger generation. Ask your children to leave their phones in their rooms at dinner time so they can practice this essential skill. Facial expressions and hand gestures can make all the difference when listening to someone talk. I’m not talking about making yourself into a caricature. That would push charisma into the danger zone of ineffectiveness. A simple eye raise can make all the difference and when you do the ‘triple nod,’ research says the other person will speak 3 to 4 times longer. These techniques can make the speaker feel listened to and important. Nothing is a bigger killjoy than having a stone-faced conversation partner. Whether you have been touched by Zeus and blessed with these innate traits or wish to practice them, none of the tactics listed here lack authenticity if they are employed with presence, values and the goal of connection. Thank you! An email is on its way! Older PostDo Girls Really Need To Learn To Code To Be Successful?